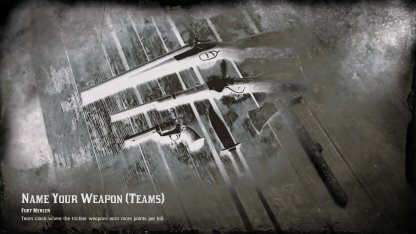 Read this Red Dead Online guide on the Showdown Series - Name your Weapon! Read on for information on the game mode, gameplay tips, and more! 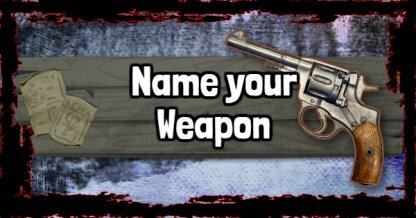 Name your Weapon is a free-for-all that will have players use a variety of weapons to garner more points to win. Players who use more complicated & trickier weapons will get more points - the player or team with the highest points win! Players who take the highest risk and use weapons that are more difficult to handle or trickier to use will get more points for every opponent they eliminate. Name your Weapon is available in two modes - solo and team. You can test out your skills as a solo player or work as a team to take down the enemy. You can choose to go at it in solo mode or in teams. This depends on how confident you are in your combat skills! Players who eliminate opponents using weapons like throwing knives, bows, or hatchets, those with a lower kill rate, will get higher points. In Name your Weapon, players with the highest number of points will come out on top and win the match! Shotguns in this gamemode provide the best balance between point bonuses and versatility in combat. Whereas the Tomahawks, although needs getting used to the throwing arch, can one-shot any opponents if it will land. Try and search for these two weapons when in game.